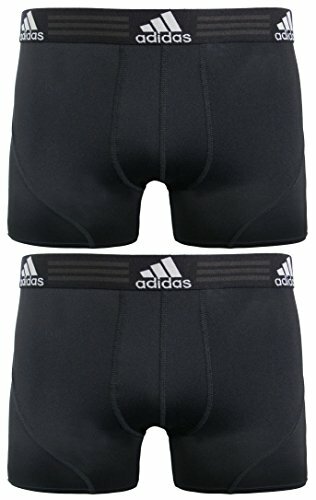 adidas Men's Sport Performance Climalite Trunk Underwear (2-Pack) is what you need if you're looking for all-purpose, do-anything underwear. Super soft, stretchy and quick-drying. Plush, soft tagless waistband and super smooth stitching deliver superior comfort. No-ride-up leg construction keeps fit consistent and prevents bunching. Double-lined pouch for support. If you have any questions about this product by adidas, contact us by completing and submitting the form below. If you are looking for a specif part number, please include it with your message.